LG G4 Lands in US But Does Anyone Care? 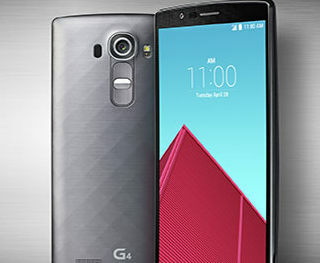 LG’s new flagship smartphone, the G4, has arrived stateside, landing first at T-Mobile. And LG is currently enjoying its 15-minutes of fame thanks to the launch of the new handset earlier this month. T-Mobile customers can order the handset online and expect to receive it before sales start in store June 3. Sprint, Verizon and US Cellular will also start peddling the G4 in early June 2015. But the big question is, do consumers really care that LG’s G4 is now available for purchase? The high-end Android smartphone market is increasingly crowded with little but the brand name to distinguish each other. Few consumers really care whether their Android smartphone has a 20mp camera or 16mp camera, 3GB RAM or 2GB RAM. Most consumers want an affordable smartphone that looks sleek and has decent battery life, adequate storage and a gazillion free apps they can download. And in that respect, all of the new handsets, be they Samsung’s new Galaxy S6 or S6 Edge, Apple’s iPhone 6 or 6 Plus, LG G4 or the HTC One M9, do a fine job and sport similar prices. The US smartphone business is split between Apple and Samsung with the two jointly owning nearly 71% of the market. The rest of the smartphone vendors are left fighting for crumbs. comScore estimated LG’s US smartphone marketshare at 8% for the three months ended January 31, 2015. With mostly similar pricing and similar features to other high-end smartphones, it’s hard to believe the G4 will give LG the big break it badly needs to move into double-digit marketshare in the US. If you ask me, I don’t think the G4 will move the needle significantly on LG’s smartphone marketshare in the US or elsewhere for that matter. With the launch of Windows 10 smartphones amid much fanfare and noise in a few months, I expect the worst hit will be the smaller Android vendors like LG and HTC.